The photographs below illustrate 12 ship designs that were used to build requisitioned ships but were not carried over into the contract program. Of the many ships requisitioned by the U.S. Shipping Board in August 1917 while under construction, many were built to designs that were later given EFC design numbers and reused to build ships in the contract shipbuilding program. From the yards named above these included EFC Designs 1049 (Albina), 1020 (American and Detroit), 1080 (Ames), 1046 (Bethlehem Sparrows Point), 1044 (Chicago, Globe, Manitowoc and McDougall), 1013 (Columbia River and Duthie), 1045 (Fore River/Bethlehem Quincy), 1060 (Great Lakes Ashtabula and Ecorse), 1043 (Hanlon), 1097 (Long Beach), and 1042 (Manitowoc). 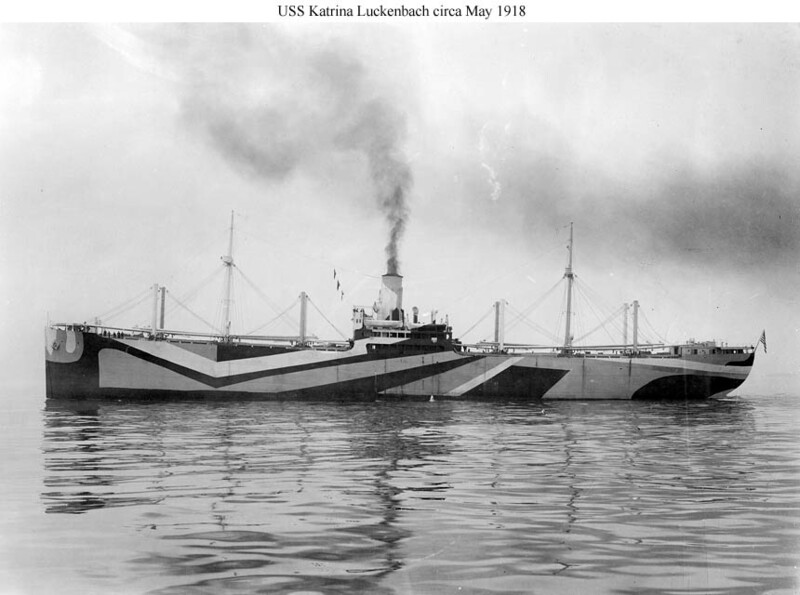 Many requistioned ships served in the Navy's Naval Overseas Transportation Service in 1918-1919 because they tended to be the first ships in the Shipping Board's programs to be completed. 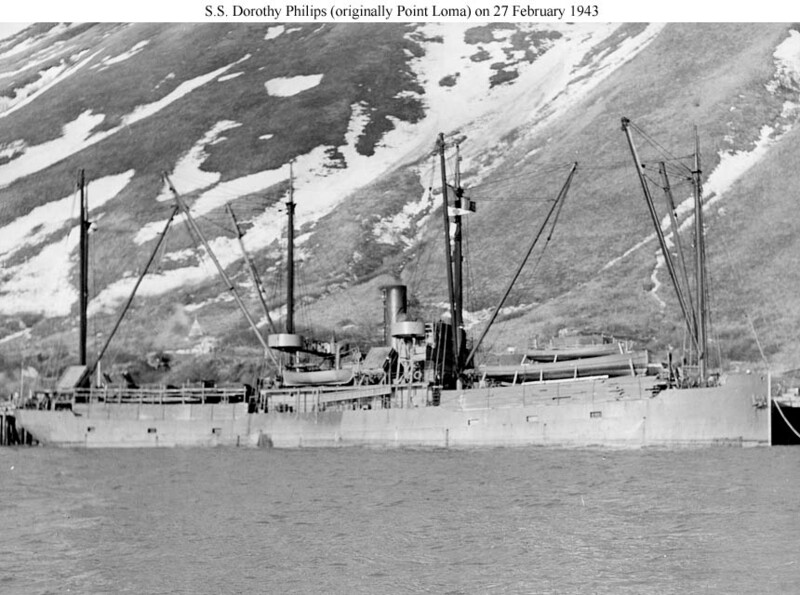 At Kodiak, Alaska, on 27 February 1943. This appears to be a smaller and earlier version of the Albina design that became EFC Design 1049. Probably shown around the time of her completion in May 1918. She was a refrigerated cargo ship. 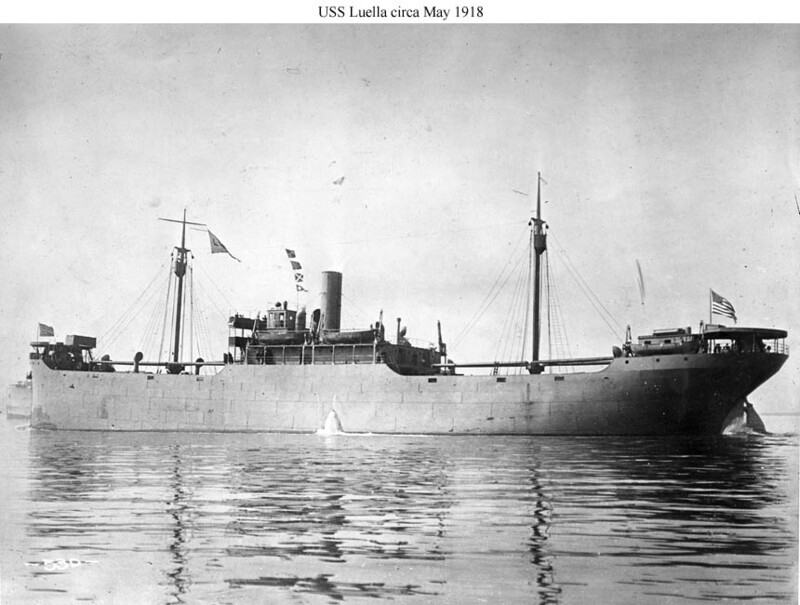 A variant of Luella, above, built with a wartime rig in which the tall masts were replaced by short kingpost pairs and a light mast was stepped near the stack. 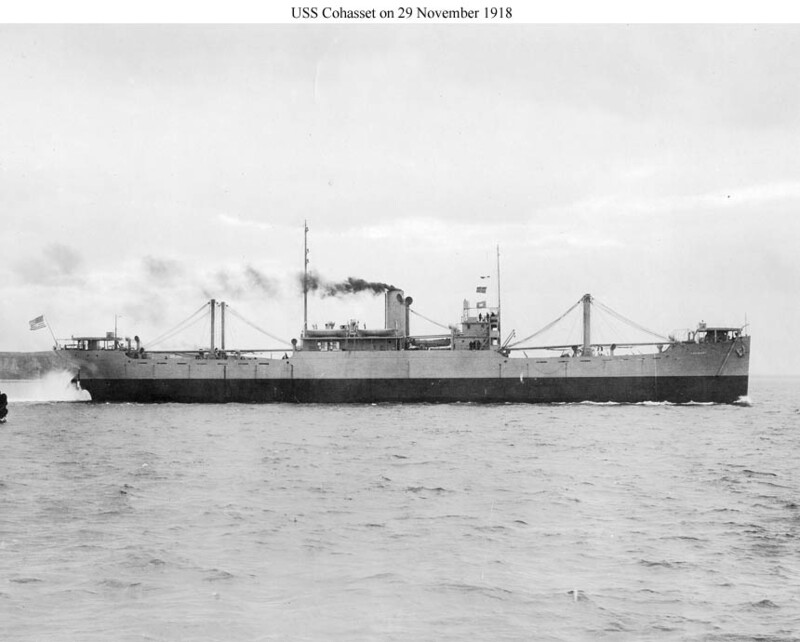 This refrigerated cargo ship is probably shown around the time of her completion in December 1918. Photographed on 8 November 1918 shortly after completion. This appears to be the last in a long series of large freighters built at Sparrows Point to a flush-decked design developed for the American-Hawaiian Steam Ship Co. Probably photographed around the time of her completion in September 1917. 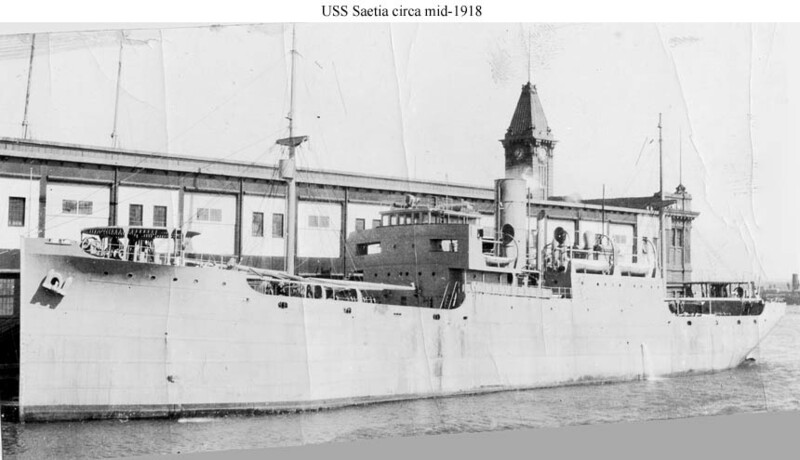 She was reconveyed to her owner in October 1917 and was taken over by the Navy in April 1918. 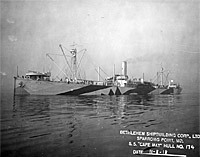 Photographed during World War I in camouflage and with a wartime rig in which the topmasts on the two masts were replaced by a single light mast stepped amidships. 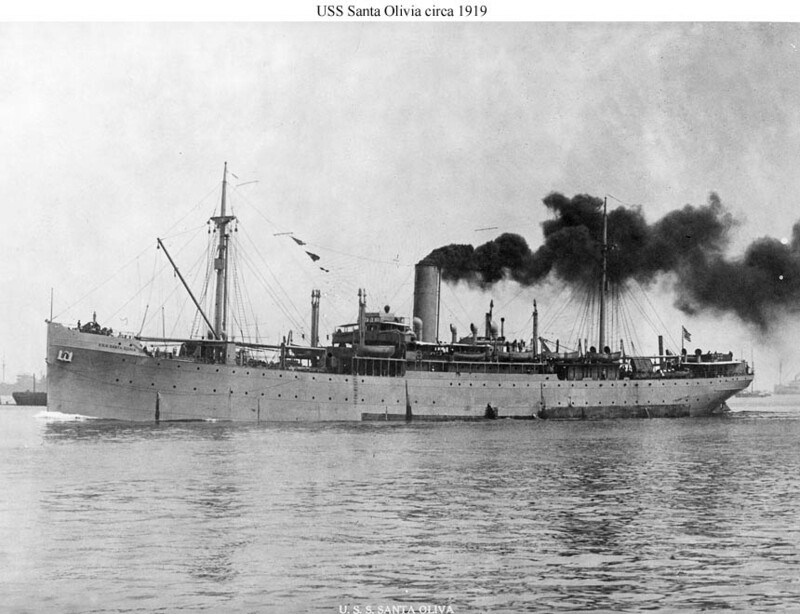 She and her sister Orizaba were among the very few passenger and cargo ships included in the August 1917 Shipping Board requisitions. This ship and her five sisters (three built at Cramp and three at New York S.B.) 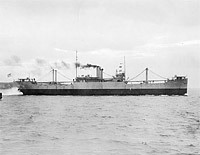 comprised the bulk of the passenger and cargo ships requisitioned by the Shipping Board in August 1917. 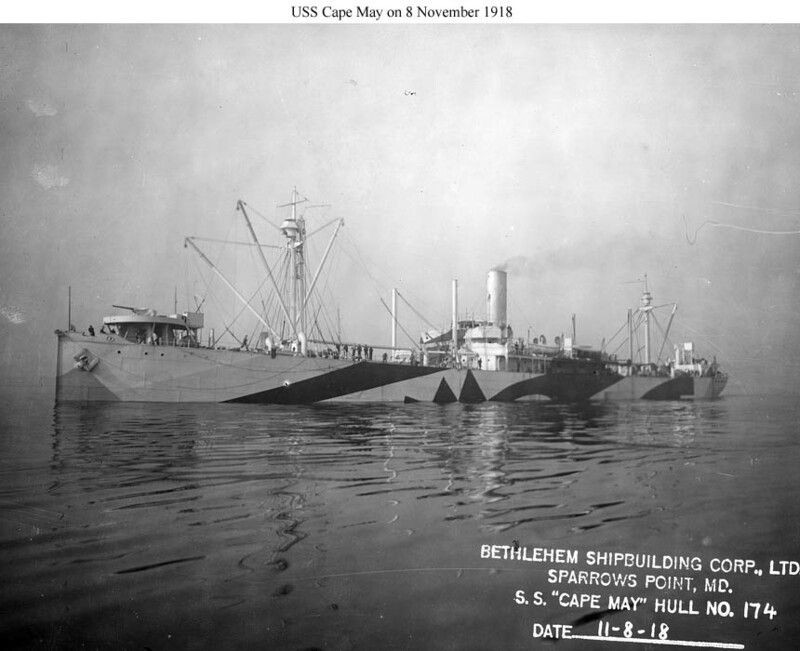 This ship was reconveyed to her owner upon completion in May 1918 and is probably shown here at around that time. 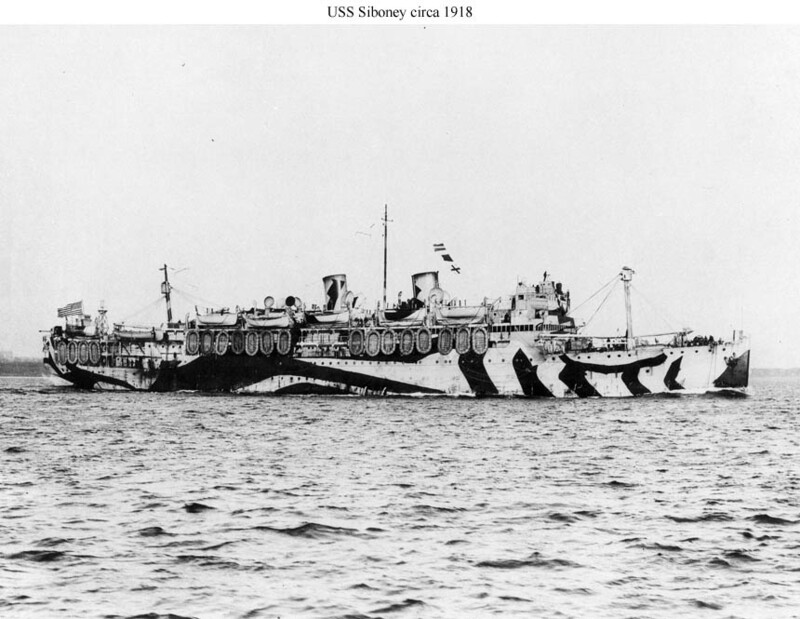 She was taken over by the Navy in August 1918. 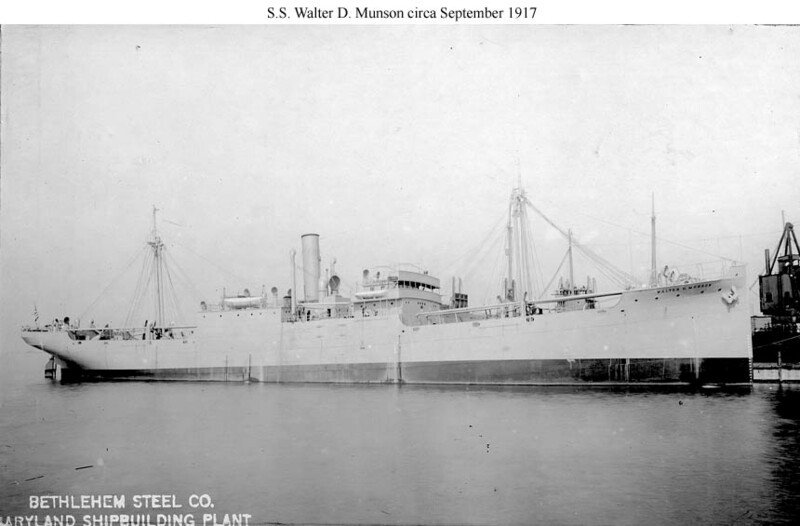 The numerous portholes in the side of this large freighter indicate that she is shown while operating as a troop transport circa 1919. 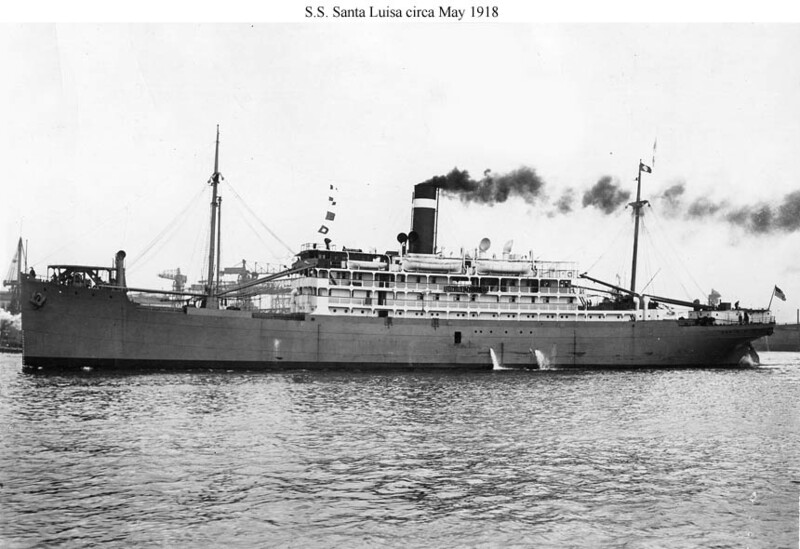 Her requisitioned sister Santa Malta also served as a Navy trooper. Probably photographed around the time of her completion in May 1918, when she was reconveyed to her owners and simultaneously taken over by the Navy. This large freighter was soon altered for use as a troop transport. On sea trials on 29 November 1918. She was taken over by the Navy upon her completion in December. Probably photographed around the time of her completion in December 1917. The Shipping Board soon renamed her Lake Tahoe. The Navy took her over in February 1918 and renamed her Evansville in November 1918. "S.N.A." stood for her original owner, the French Soci�t� Nationale d'Affr�tements. 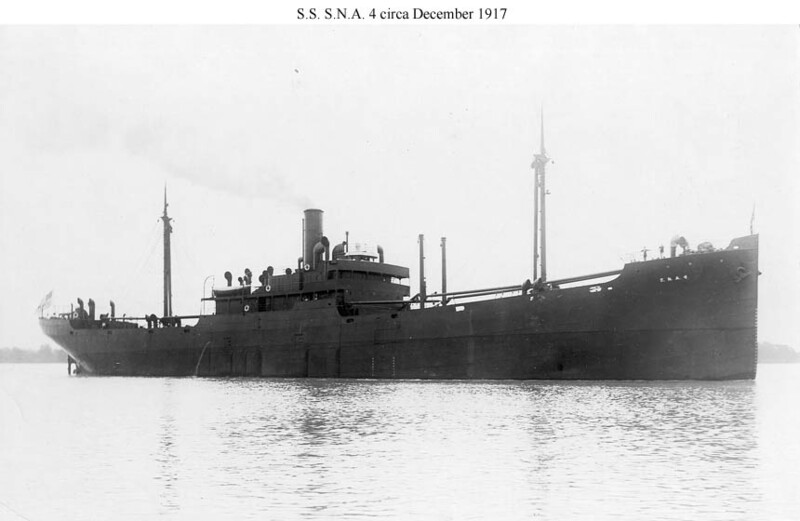 This small freighter was taken over by the Navy upon completion in March 1918 and was sunk by a mine in November 1918.